TPU got its hands on a photo of the EVGA GeForce GTX 680 SuperClocked Signature 2, a new model with a dual-fan cooler. That particular cooler is similar in design to NVIDIA's cooling solution (lateral-flow through aluminum channels). 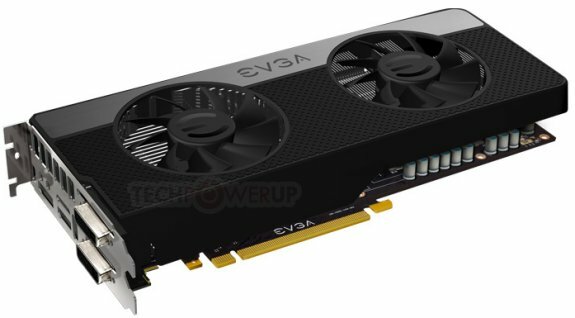 We're getting to know of yet another of EVGA's non-reference cooler designs for the GeForce GTX 680, the dual-fan Signature 2 cooler. Pictured below (still in its CGI form), the cooler uses two 80 mm fans that guide air through a complex heatsink below. The fans will spin at lower speeds to achieve similar/higher air-flow than the lateral-blower featured on other designs, and hence could end up being quieter.